Preparing for a new school year brings up all kinds of emotions for parents. Hope (for new beginnings), joy (that your child is getting older), sadness (that your child is getting older), anxiety (in anticipation of this year's teacher) and sometimes dread (will it be the same as last year?). Maybe it was because I had such an unusually busy summer this year, but I did not think about my children going back to school until last Tuesday. And, school was set to begin the following day. This school year, I was completely unprepared for the first day of school (both mentally and material-wise) and unfortunately I did not take the time to prepare my kids either. Whether it's a missing supply or a forgotten lunch, we are still catching-up to that first day back. In addition, as I put my daughter to bed tonight, she let me know that everyday since school started, she has been feeling stressed about being at her new school (she started middle school this year). It has been a completely overwhelming experience for her and I regret not taking more time to help her transition. I know that we will be able to talk her through anxiety she feels. But, in the meantime, I am kicking myself as I should have taken my own advice that I tell parents at the beginning of every school year. BE PREPARED! To help you avoid the several glaring mistakes that I made as a parent this past week, I wanted to share a few resources to help you (and your child) be prepared for school start-up. To begin with, you can start by checking out some tips and advice on preparing your child with (or without) special needs by reading How to Prepare Your Special Needs for a New School Year or Parent Primer: Placing Children with Special Needs in the Inclusive Classroom. 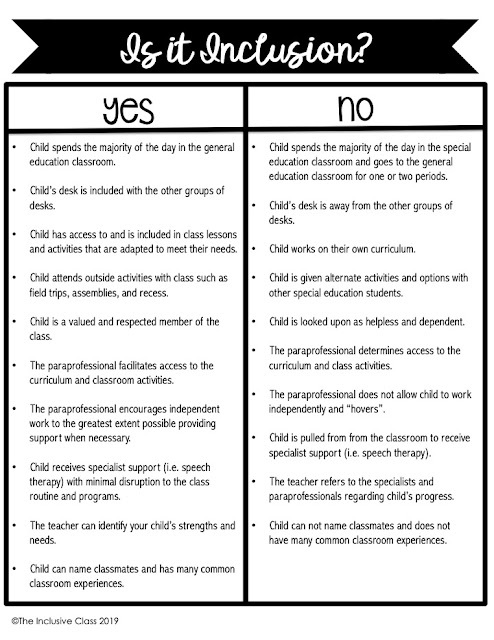 Once you have read those, head on over to What You Need to Know: Preparing Your Child with Special Needs for the Inclusive Classroom for some tips that both parents and teachers can use. 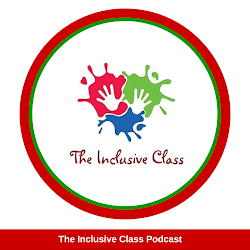 And finally, be sure to check out The Inclusive Class Podcast "Back to School" Series on Blog Talk Radio. 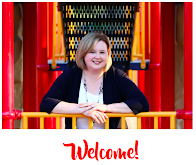 On Friday, August 17, 2012 at 9 AM EST Terri Mauro and I will be talking about school supplies and materials that parents can buy or prepare for children to use at school. These materials have been hand-picked by Terri for their ease and ability in accommodating special needs. Join us again on Friday, August 24, 2012 when teacher and homework guru, Susan Fitzell discusses homework strategies for families. She always offers valuable insight and advice in her interviews! Well, best of luck with the start of the new school year for you and your family! Let me know if you have any tips or strategies that work for you!